THE FOURTH INSTALMENT OF THE JOYCE ATELIER PROJECT PRESENTS A STUDY OF THE MAN WHO HAS REDEFINED THE PERCEPTION OF AMERICAN TAILORING - WITH A LITTLE HELP FROM THEATRE. Static, yet whimsical: figures with painted faces stand to attention dressed in grey utilitarian uniform, as if waiting patiently in the wings for their moment in the limelight. The Spring Summer ’18 continuation of Atelier Project partners with the man who has redefined the understanding of classical American tailoring. Thom Browne’s steadfast commitment to re-proportioning his signature grey suit has transformed what should be a neutral uniform into a distinct statement in personal dressing. JOYCE brings together again the Atelier Project’s crack team of celebrated photographer Wing Shya and Creative Director and Stylist Sean Kunjambu to produce a series of images that work like a stop motion flipbook – transitioning through the various stages of undress and dress. 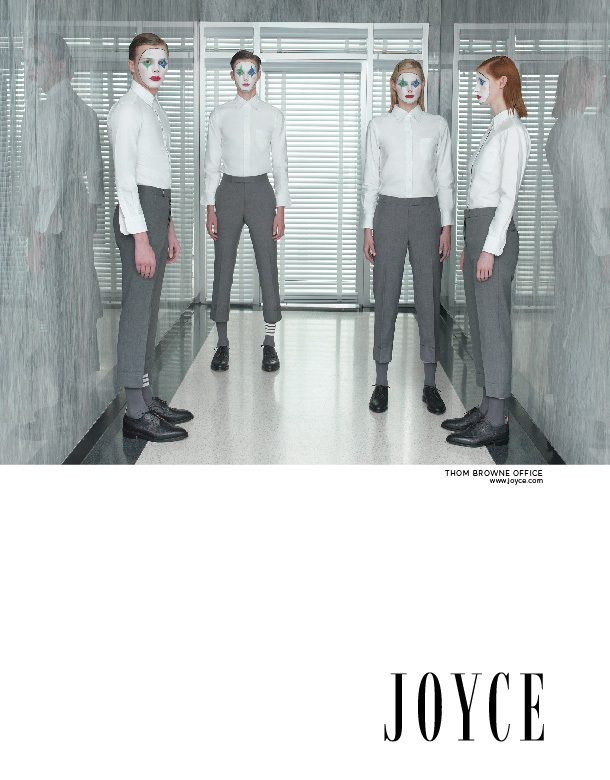 From seemingly standard issue white underwear, through to austere grey suiting, the stark contrast between the vivid clown make-up synergises Thom Browne’s knack for combining classic order and the theatrical. The images form an illuminating study of the brand and the man himself: two elements the designer sees as inseparable. The photographs will be presented together with a short conceptual film, choreographed and directed by the designer himself. The combination static and moving imagery will form the basis of the JOYCE Spring Summer ’18 campaign. 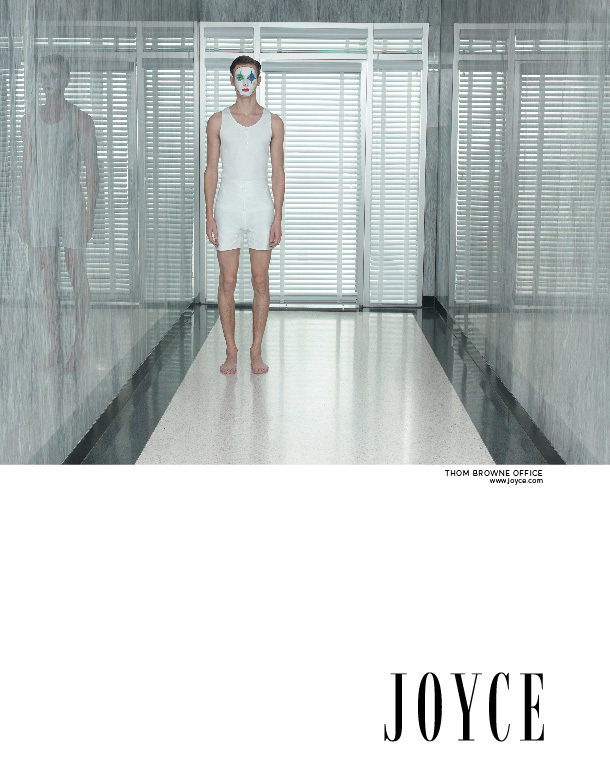 A further profile of the designer comes in the form of Volume II in the series of collectible JOYCE DOCUMENT titles. Fashion correspondent David Hellqvist conducts an in-depth interview with the man behind Thom Browne. The JOYCE DOCUMENT touches on various topics such as what inspired the “shrunk” look, how his father influenced his style and where does the spelling of his name come from? The candid interview is brought to life with behind the scenes photography from the Thom Browne FW’18 show, attentively captured by Filep Motwary. 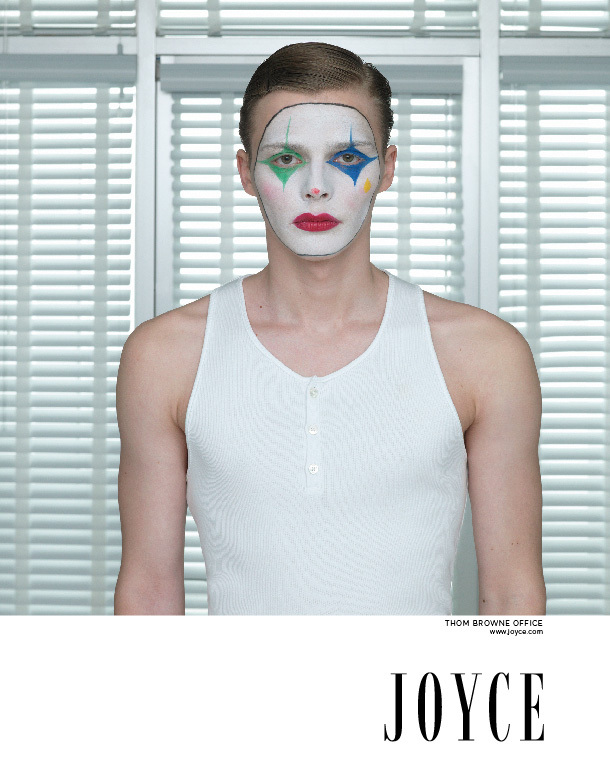 It seems the element of showmanship in each of his presentations – and the JOYCE SS’18 campaign - resonates with Browne’s early career as an actor. Understated yet provocative, the brand is the man himself. The campaign images and DOCUMENT will be launched in anticipation of the designer’s upcoming 2-day appearance to Hong Kong in April. 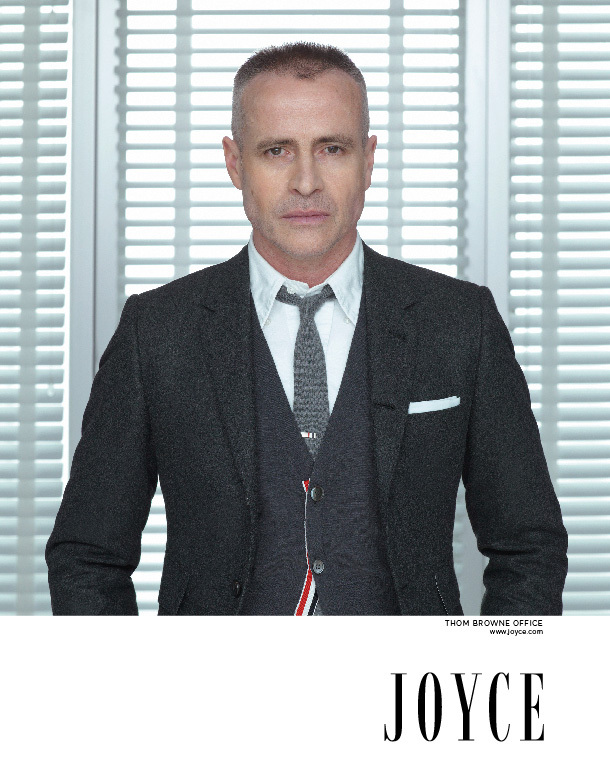 JOYCE looks forward to welcoming back the designer after a decade and a half of close partnership. The visit will coincide with the unveiling of a capsule collection developed exclusively for the JOYCE pop-up corner in Lane Crawford ifc mall. A limited number of the DOCUMENT will be signed by the designer. 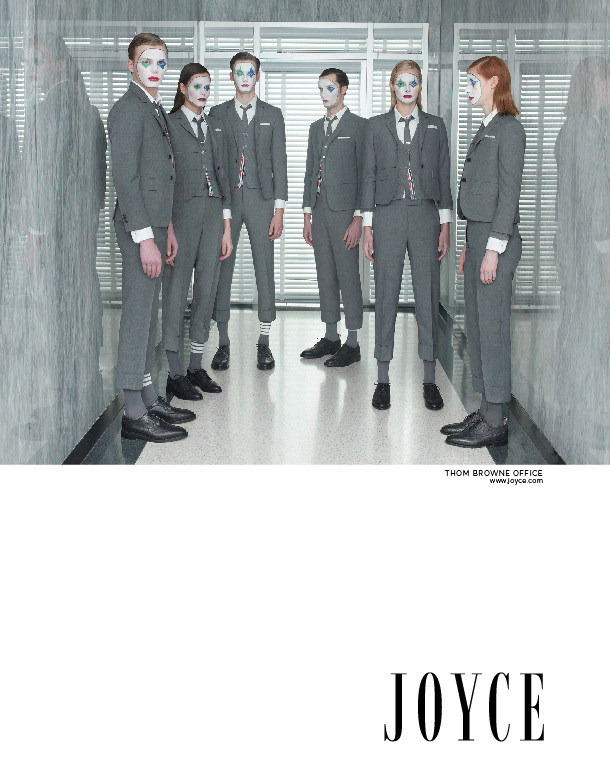 Visit JOYCE stores or www.joyce.com for inquiry about the upcoming conversation with Thom Browne at JOYCE Creative Salon.